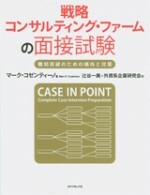 Case in Point: Complete Case Interview Preparation. Marc, the world’s foremost authority on case interviewing has twenty seven years of experience with case questions. He has written well over a hundred cases, while coaching, preparing and training more than a hundred and fifty thousand students and alumni. 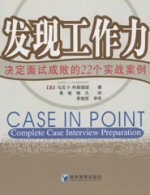 He has written three books involving cases and consulting. Cosentino has given workshops to students at colleges and MBA programs for the last twenty seven years and has held training sessions for career services professionals on how to give cases and how to analyze a student’s performance. The firm also works with Fortune 500 companies to help train their Ph.D.s how to think like business people. 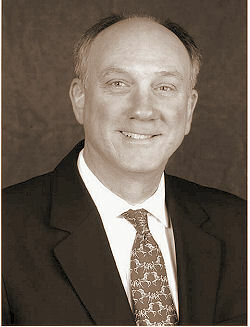 Cosentino is the president of CaseQuestions.com and the former Associate Director of Career Services at Harvard for 18 years. Marc is a graduate of Harvard’s Kennedy School, Harvard’s Program on Negotiation and the University of Denver. Having spent several years as a management consultant including a stint at The Boston Consulting Group, Mukund developed a strong interest in data interpretation and its visual representation. 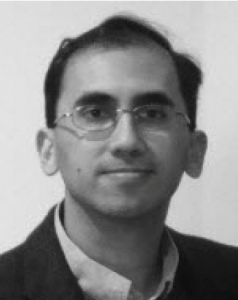 After consulting, Mukund worked in industry in various strategy roles where he strengthened his anaylytical skills and refined the data interpretation framework. A graduate of Duke University, the University of Michigan, and Harvard University, Mukund enjoys spending time with his wife, Garima and son, Shaunak in Atlanta. Kara is the Full-Time MBA Program Director at UNC Chapel Hill, overseeing all aspects of the Full-Time MBA Program. Prior to her role at Kenan-Flagler, Kara spent almost 20 years at the University of Florida, most recently as the Senior Director of Full-Time Student Affairs & MBA Engagement. As part of this role, Kara coached case competition teams for over a decade. Recognizing talent when she sees it, Kara recruited Jason to help coach case teams, and they developed a proven and repeatable method of preparing successful MBA case competition teams. This success not only led to a stunning number of competition victories over the years, but also to the high levels of student satisfaction with the UF MBA program and improved performance in their post-MBA careers. 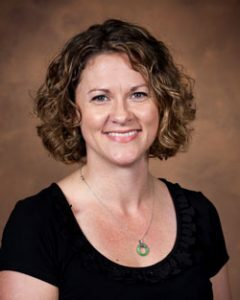 Kara recently earned her PhD from the University of Florida, where her dissertation focused on predicting placement of MBA students and linkages between personality, participation in professional development, and placement success. She also holds an MS from Florida State and a BA from Penn State. Jason is currently the Director of Graduate Business Career Services at the University of Florida. Prior to joining UF, he was a strategy consultant for McKinsey & Company and held corporate roles with ExxonMobil and John Deere. For the past five years, Jason has applied his experience in building and communicating recommendations to senior executives toward coaching MBA students on how to land top-tier jobs and win case competitions. During his time at UF, the full-time MBA program has experienced record gains in diazepam placement rates and starting salaries and was ranked #2 globally in Student Assessment of Career Services by the Economist in 2016. UF MBA Case Competition teams have also amassed 16 first-place wins since 2013 with Kara and Jason serving as co-coaches. 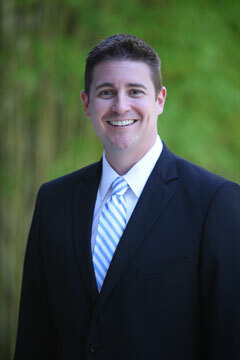 Jason earned his MBA from Duke University and Bachelor’s from Texas Tech University. The information contained on the website is the sole copyright of Marc P. Cosentino. 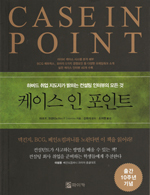 Much of this material is published in his book, Case and Point, which is published by Burgee Press. As with all case questions, we assume facts not in evidence, as well as generous assumptions. Familiar companies are used as examples because of the power of their brand and their familiarity to the general public. Information concerning actual companies cited as examples may not be accurate. This information was based on research, but should not be used as reliable, up-to-date data.